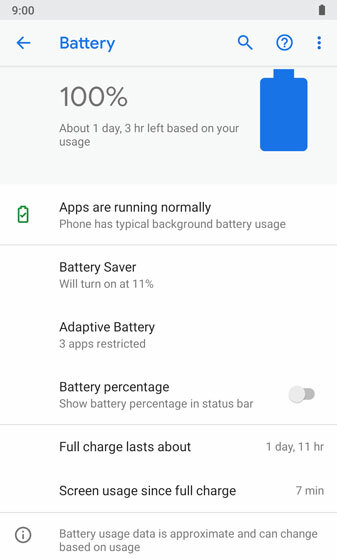 From Battery, tap the Menu icon then tap Battery Usage. 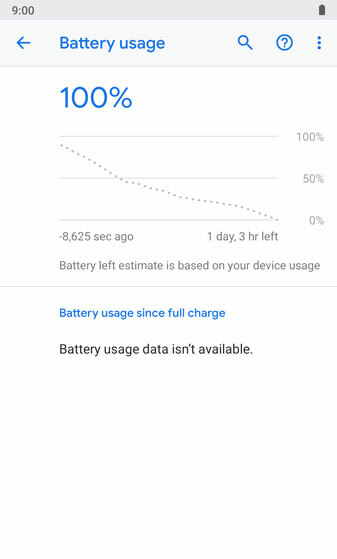 View the Advanced battery usage status. Oprime el ícono Menu then tap Show full device usage to view additional usage details.